5. Teach them about conservation & nature! You don’t need to be a tree-hugger to know how important the natural environment is. Share that with the kids. When they catch a fish, hold it for them. Show them the fins and how the fish use them to swim. Show them the eyes and how they see through the water. 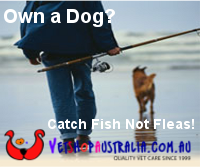 If you bring fish home, teach them to only bring home what they can eat, and release the rest. Make sure you clean up and take all your rubbish with you, and explain to the kids why. Bring and use sunscreen and mossie repellent. Make sure the kids wear a hat. Most schools now have a “no hat, no play” policy. Our family has a “no hat, no fishing” policy and the kids have never known anything else. I also encourage my kids to wear sunnies and sunsafe clothing is a must. Bring, and make sure the kids drink, lots of water (not fizzy drinks). ﻿﻿﻿﻿ If you're on a boat, a properly fitted childs life jacket (PFD) is a must. Even on shore, a floatation vest of some sort is a good idea for the very little ones. Be strict about taking care with knives, hooks and swinging rod tips. Kids need to know they can hurt. A lot! Hot Tip: Consider flattening the barb of the hook with a pair of pliers. It makes unhooking the fish easier, and also clothes, trees, siblings etc. 7. Get help if you need it. There are heaps of resources to help you give your kids a love of fishing including free fishing clinics. 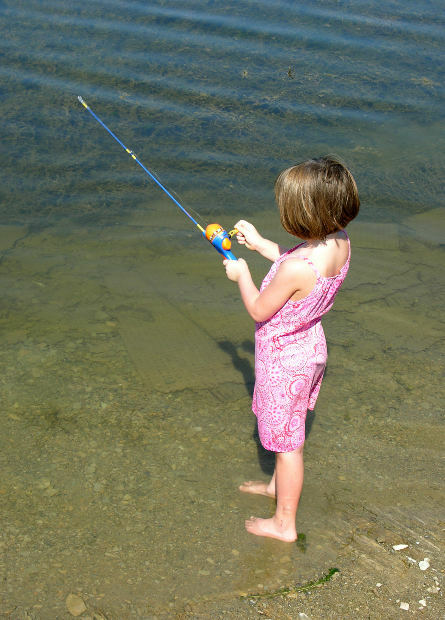 Google “kids fishing clinics” and your town/city. The people who take these clinics are professionals. Just like a teacher at school can help your kid to learn to read, a good fishing coach/instructor can give the kids some pointers in the right direction. Just like reading, it’s then up to you to make sure the kids practice and reinforce the lessons learned. Follow these few simple guidelines and you are sure to have a great day.